The United Steelworkers (USW) has reached a tentative agreement on a new, three year contract with Honeywell Corp., covering about 150 members of Local 7-669 who were locked out of their jobs at the company's Metropolis, Ill. chemical processing facility on 2 August 2014. "Once again, our brothers and sisters in Metropolis have proven that we are all stronger when we stand together," said USW International President Leo W. Gerard. "Their solidarity has been an inspiration and an example to Steelworkers across the country whose employers engage in similar union busting tactics." At the request of the federal mediator who assisted in the negotiations, the union and the company will not discuss specifics of the proposed agreement publicly until the members of USW Local 7-669 have concluded the ratification process with their negotiating committee later this week. Today United Steelworker oil workers will rally at BP offices in Chicago to demand fair contracts and safer workplaces. 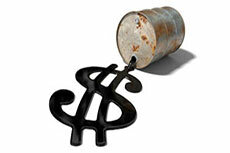 A look at some of the impacts of refinery strikes in the USA and low oil prices. 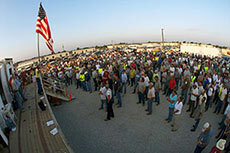 The latest news from the USW strike updates in the US. A look at what has developed with talks between oil refineries and United Steelworkers over the weekend.